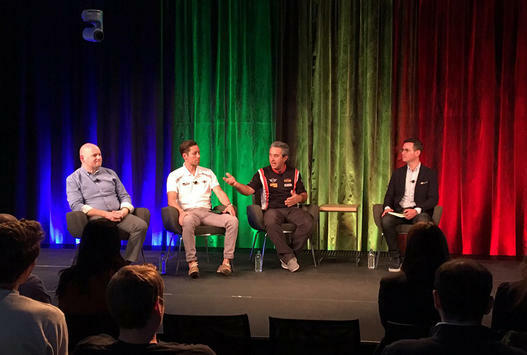 Team owner Luis Perocarpi and driver Derek Jones recently visited the Google offices in New York City. They participated in the “Talks at Google” program which brings in speakers to discuss their passions and what drives them. It was great to be there and to get to discuss my passion and how it drives me when the results don’t necessarily come,” said Perocarpi. “There was a Q&A session, and there were a lot of questions about the car and racing, but the most difficult question was likely how we find drivers that fit the program. It takes a lot of chemistry to make this work, especially for the times when there’s not a lot of reward. To read more about what motivates the team and what their goals are for next season head on over to IMSA.com for the full article. If you’d like to watch the full session check out the video below.